We save and share New England's past to engage and inform present and future generations. 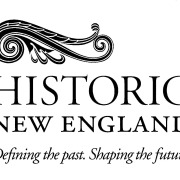 Historic New England saves and shares historic homes, open space, collections, and stories from the past to today. We are the oldest and largest regional heritage organization in the nation. Would you recommend SOCIETY FOR THE PRESERVATION OF NEW ENGLAND ANTIQUITIES INC?